Yes, I’ll admit it, I conjured up every excuse I’m sure volunteers have devised when faced with coming to my training sessions. “I’m tired, the season finale of the Big Bang Theory or Finding Bigfoot is on, the weather is bad, no one will miss me, why did I sign up anyway, or I don’t feel good and it’s too far to go.” Excuses aside, I went. But, when we arrived, we noticed the other new volunteers milling around the parking lot. We’ve gotten to know them, so we approached, expecting enthused conversation. Instead we walked into some pretty negative grumbling. “Did you get an email telling you class was cancelled?” Someone asked. “Man, I could have been home studying,” the student volunteer lamented. I immediately pulled out my phone and pulled up my email. Nope, no email message. And I did give my correct email address on each of the sign in sheets so I know someone has it. “I drove 25 miles to be here. Jeesh.” The second volunteer added. “Does anyone have Betsy, the coordinator’s cell phone number?” The first volunteer asked. “You give the moderator or leader 20 minutes to show up and then you just leave.” Hmmm, I didn’t know that. So, mental note to me. While a call was being placed to Claire, the rest of the increasingly annoyed group began to muse about some other shortcomings of the organization, from the lack of continuity to one really unlikeable staff member. “Don’t ever work with her, she has no people skills at all.” One volunteer said. “I know, she basically ignored me when I walked in the door the first time,” another added. “I’ll bet she was responsible for notifying us of the cancellation,” a third chimed in. As the group nodded I pictured pitchforks and torches and the burning of Dr. Frankenstein’s castle. Claire was unavailable and so at the 30 minute mark, we all left, a bit more bonded to each other, but much less to the organization. Now here’s where I politely disagree. Someone, anyone should have called each one of us to let us know the instructor was not coming. I know because I have scars from this happening to me. I learned the hard way a long time ago when I could not make a training session and did not have the list of volunteers on me at the time. The thing is, those volunteers, although put out, were able to see past the inconvenience. But here’s the kicker. Two of those same new volunteers were stood up by a staff member on their first assignment. So as you can imagine, those two volunteers did not wait for the third strike. They each made a different gracious excuse to quit, and no amount of convincing changed their mind. So, where did that leave me? Forget the statistics, forget the amount of time spent recruiting and orienting these two volunteers. I felt personally responsible for failing them. 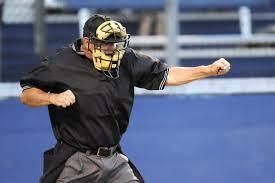 So, from that day on, I made it my two strike rule to not let volunteers be inconvenienced more than once. Did it always work? No, of course not, but the self-imposed hard fast rule forced me to carry lists of volunteers’ contact numbers, drive to work on a Sunday night to make phone calls, and have multiple back up plans. And when an inconvenience did happen, I made sure to offer a personal phone call apology the next day to the volunteers who were impacted by events oftentimes out of my control. Did this add to my workload? Yes, by an unbelievable amount. I even learned to do double checks with staff to make sure volunteers did not arrive at an assignment without proper instructions. I’ve found that slogging through all the upfront work is ultimately preferable to trying to make amends for the sloppy treatment of volunteers. And I take volunteers’ experiences personally. Can’t help it, it’s how volunteer managers are wired, I think. Oh, update. It WAS the responsibility of the staff member the volunteers were trashing to call everyone and cancel. We never got a call and have yet to get an apology from her, although we did get an apology from a different staff member at this week’s orientation. Something to think about if you need to cancel an arrangement with your volunteers. Make them feel valued and ensure you let them know, or if you can’t, that someone else gets in touch with them! 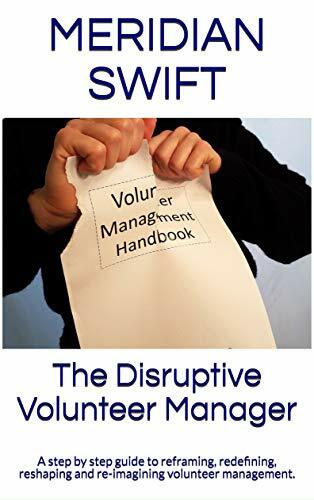 Basic message here: don’t mess with volunteers! Keeping people informed and up-to-date is also common courtesy. 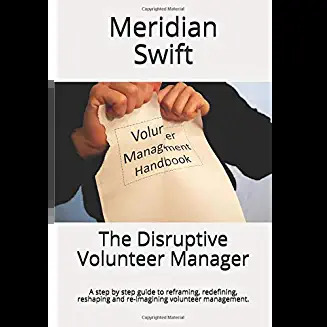 You have also demonstrated how organised [emphasis on this word] a manager of volunteers has to be – all that detail to attend to – but it’s worth it! And hey, the 20-minute rule was only 15 minutes in my days as a counsellor. Client no-shows did not happen very often but the rule was a useful steer.